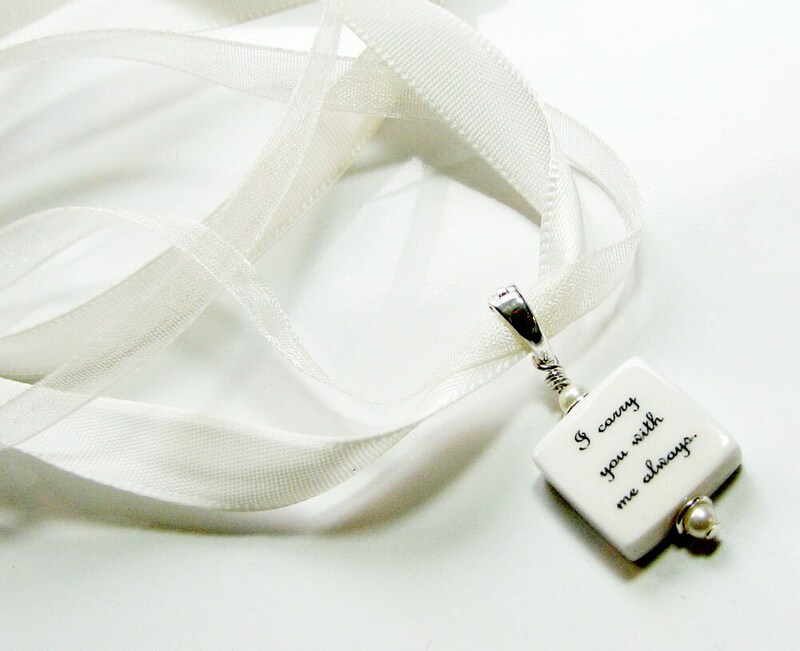 This is a custom bridal bouquet photo charm that is .5" X .5" and two-sided to accommodate a second image or writing. 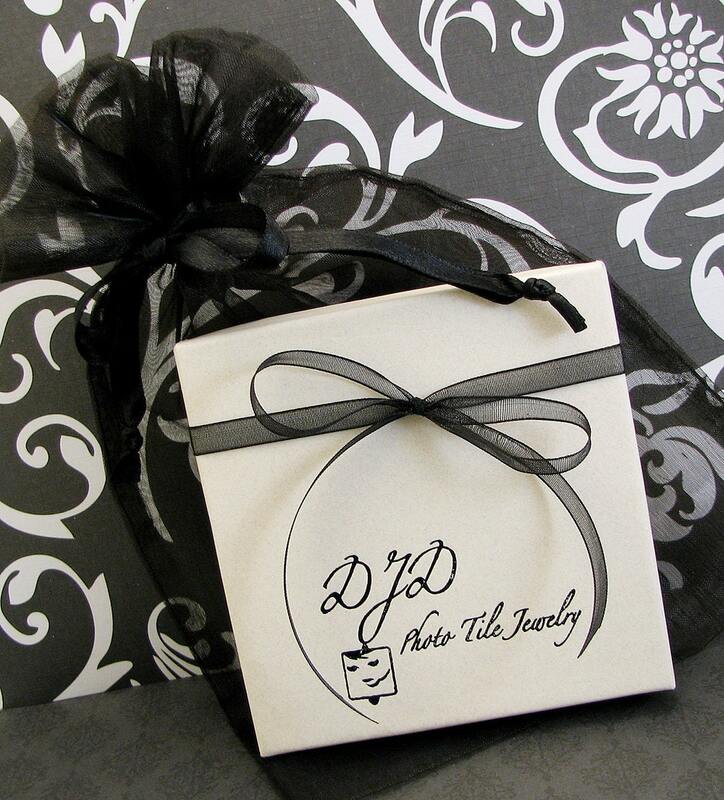 This one comes on a removable, locking sterling silver bail, and double ribbons in white or cream to wrap around or hang from your bridal bouquet. 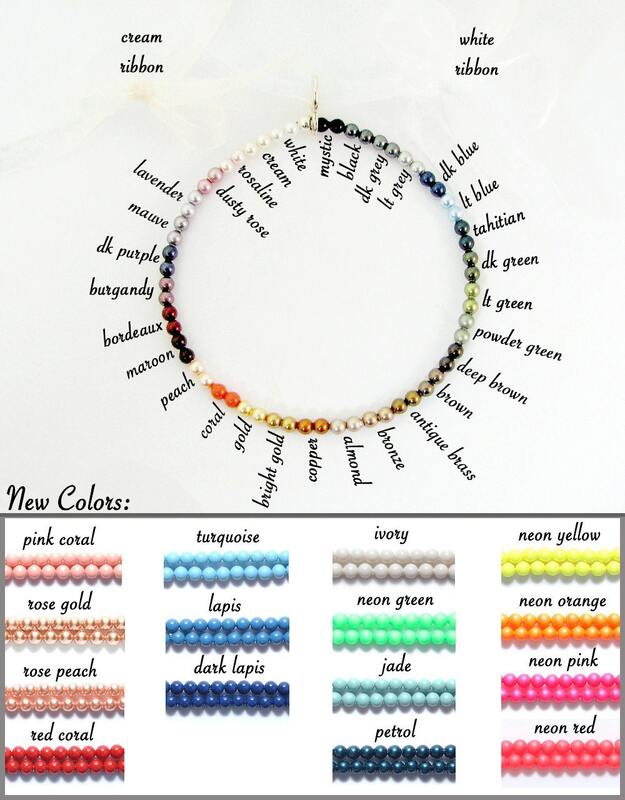 You can choose pearls in your wedding colors, or a color to match your images from the chart above. I can't think of a nicer way to remember your loved ones on your special day. 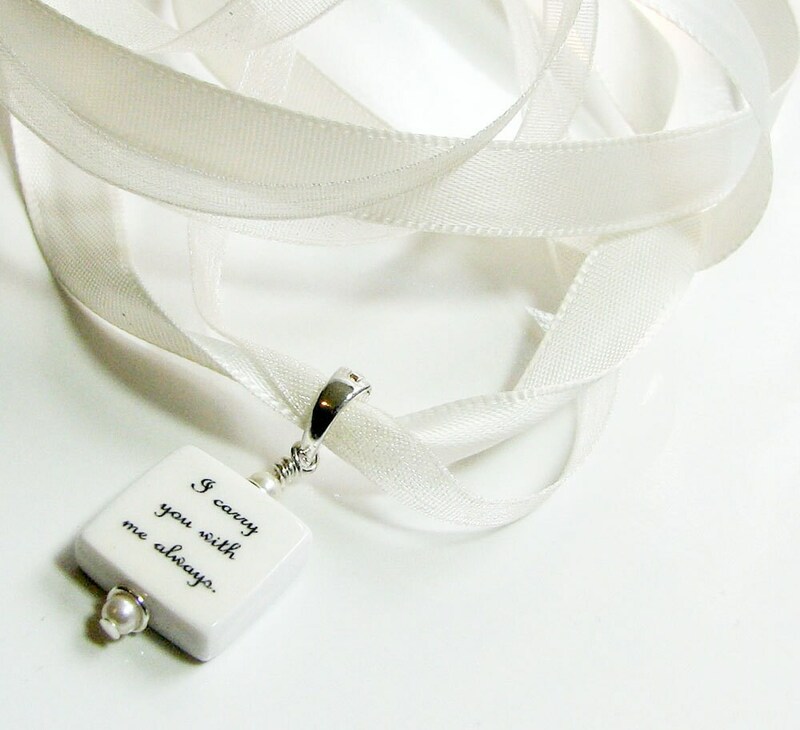 But the best part is that this charm can be placed on any piece of jewelry that will hold it, and worn everyday after your ceremony to keep your loved ones near your heart.